Previous PostWILLIAMS v. SATZNext PostOPEN IT UP, PETER! As someone who has defended Judy Stern from cheap shots I must say she is not a person I would listen to about who should be a State Attorney or Judge because of her conflict of interest in that she gets paid for running races. I would also say that if she really thinks a County Commissioner should NOT be indicted and hopefully convicted IF GUILTY of ripping off the public or abusing their office, she isn’t even someone I would trust to guide me on who I would support for any position. The problem in South Florida is the lobbyists and developers and government contractors including useless non-profits run politics and government while us taxpayers pay for their bread and circus. I have not reason to “carry water” for State Attorney Michael Satz, but to replace a State Attorney so a political consultant can make a buck is pretty much against the PUBLIC INTEREST. Stern is a cheap shot. My dry cleaning bill is more than she gets but you get what you buy which is a LOTTIE NOTHIN. Nobody but the braindead listen to Judy. That’s her target audience ! So much for getting another AA Circuit Judge. T J Reddick shouldn’t have bothered. Smartest nominee is Weintraub and an outsider. That’s good! Weintraub and Casey most qualified but they don’t stand a chance! 8 men. 3 women. Just saying. To replace two women who in essence had to be removed from the bench for misconduct. Giving the finger to black people again isn’t an affirmative action? What about Judge Hurley’s inappropriate treatment of a homeless man and the assistant public defender today? Does the JQC and Florida Supreme Court approve of judges playing to a tv and Internet audience. Is this not highly unprofessional and an abuse of the system? Can’t we get a JQC complaint started for the man’s holding a hard working attorney up to public scolding. Inappropriate? Watch the entire video. How about the PD, instead of making a flippant comment, asking to maintain the PTR determination with the defendant living at BOC? Playing to the cameras? How about the PD holding a clipboard to the camera that says “Vote for Dale Miller” since he’s running for judge. You guys are a joke. How about getting a PD in there that takes the job seriously for starters. If Hurley ever upped hisprofessionalism he might begin to approach total disgrace status. Grow some balls and tuna against hurley or quit whining. Miller is what he is. He’s just not going to be a judge. Why? what are your reasons. Dale Miller seems like a fine man to me and those who know him socially and professionally feel the same. It is said in an endearing way. Dale Miller has what it takes to be Judge like it or not. They don’t want men and women with wisdom and life experience. They want bitchy little prosecutors to keep the prison fire stoked and raging no matter how morally reprehensible and transparent. Too bad they’re in different buildings. It could be a nice fight video like those two hosers in Brevard. It sure would be fun to watch. Miller would win hands down. Hurley would be sore for a very long time. Who’s the public pretender in Hurley now that the last duffis quit ? All the ladies working in the courthouse cafeteria love some Hurleywood. Who doesn’t like a toothpick? I really don’t understand why all you morons like to beat up on Hurley so much. He’s efficient , polite, smart , hard working and is one of the few Broward judges who actually shows up to the bench on time. He just expects attorneys to be prepared and act professionally which is sadly lacking unfortunately. With all the bad judges in Broward, to pick on him constantly seems very misplaced. The problem seems to consistently come from the PDs office. The only person who would have written that is Hurley. Wrong. He probably woke up Marge to write it. What else does she have to do all day? Why didn’t Judge Levey Cohen go up? The Governor should ask for her. This purposeful slight should not be tolerated. Last thing we need is MARDI LEVY COHEN JINGLESCHMIDT ! Isn’t one enough ? With all the crap on the bench in Broward, Judge Hurley stands out as a beacon of sobriety amongst swine. He’ll get my vote any day. Keep up the good work Judge Hurley! Everyone knows that if you whisper “warehouse” three times in the bathroom mirror hurleywood pops up in the Cafateria. There’s a threshold test the JNC needs to perform and it involves Jack, Johnny, and Jimmy Beam. Every person interviewed should be required to down a few shots while talking to see if they’re going to piss their pants like a goddamned lightweight. A Judge ought to be able to handle drugs and alcohol so not to ruin it for everyone else. Lightweights need to be weeded out or nothing changes. WHAT HAPPENED TO BOB NORMAN AT CHANNEL 10????? It’s going to take a lot more than a clipboard with his name on it to get Dale Miller elected . Finkelstein’s attempt to stack the judiciary with PD’s wanting to leave his office isn’t going to fly very far. Neither is Teresa Williams running against Mike Satz. Hurley is great. I saw the clip. The PD was editorializing and had been warned before. It never fails to amaze me how the dialouge in Broward is always so bitter, angry and nasty. Broward’s reputation as the cesspool of the state is well deserved. Lack of civility permeates the air. You can feel it in the courthouse and on this blog. You folks who are part of the problem get exactly what you deserve. Hurley should not be telling people to plead guilty and should not be discrimination against homeless people. A JQC complaint should be brought against him. He had Nadine Girault removed for advising him that he was violating the Canons of Ethics for Judicial Rules of Conduct… that should make everyone stand up and ask for his removal. The way that he treated Dale Miller and the man that was at the podium is a disgrace. Is this America or a kangaroo court. What type of society do we live in where an attorney who clearly hears a judge tell someone to plead guilty is physically thrown out of the room, a woman lawyer at that… a man tells bailiff’s to throw a Black female lawyer out of a room for doing her job. This is totally unacceptable and the Supremes should remove him ASAP!!! Get someone besides some stupid PD that doesn’t know how to conduct themselves or actually knows what they are doing besides disrupting the proceedings and not carrying out some personal grudge Finkelstein has against Judge Hurley: that would go a long way in improving the situation. Hurley is a credit to the Broward Judiciary where he stands head over heals over most other judges in so many ways. I think Judge Hurley sets the standard for what a good judge should be like. 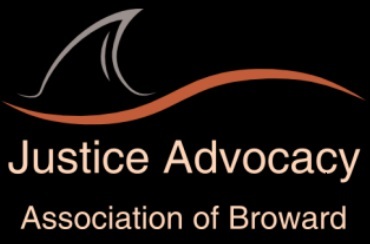 Broward County has many poorly performing judges or worse. Judge Hurley is not one of them. He’s done a better job than any judge I can remember in first appearance court and I’ve been around for over fifteen years. He continues to have my full confidence no matter what some disgruntled public defender who’s running for judge has to say. He should grandstand less and learn by Judge Hurley’s example. The camera is an intoxicating mistress. Just ask Judge Pitt. He was a magistrate in North Dakota until plucked from obscurity by Hollywood talent agents who recognized his angular good looks were magnified to epic proprtions by the camera on the local live cable broadcast of bond court from the reservation. A little grooming, voice and acting lessons, and now he’s known the world over as mega star Brad Pitt. Those in Broward bond court are well aware of the opportunity afforded them by virtue of being on camera and so long as they follow the law shouldn’t be faulted for rising to the occasion from time time and making an otherwise dull broadcast Nielsen worthy. One thing for sure: That Poindexter Hurley won’t be mistaken for Brad Pitt for either his good looks or talent ! If he’s waiting to be discovered by Hollywood, he’s even more disturbed than I give him credit for being. I don’t think anybody could argue Jay Hurley is very smart. He happens to be one of the dumbest door knobs you could ever meet. He fits right in with all the other dim bulbs sitting on the bench in Broward. These are not people that could make a living at anything else. Why do you think they gravitate to these positions ? That and the fact they are some of laziest people you could ever find. At least Hurley shows up to work on time sober and ready to rock and roll which is more than you can say for most of them who think somehow they are so important that they can keep everyone waiting for hours before they take the bench while they deal with their moonlighting second jobs at tax payer expense. Don’t look for legal scholars when we’re talking about judges in Broward because most of what you’ll find are turkeys that graduated at the bottom of their class, had to take the bar 3 times and decided to go into politics instead. Or been on the government dole the entirety of their professional careers ! You’ve got that right ! And then have the temerity to call it public service ! Abbe Rifin from Miami SAO is the very smartest candidate and has probably tried more criminal cases than two or three of these Broward candidates. But Broward doesn’t want smart, courteous judges or court deputies. They want bipolar psychopaths who don’t take their medication. Corrections in Miami handles twice as many inmates and manages not to scream during court proceedings. It must be the need for the ego expression in Broward that makes up for the lower IQ that is so invasive in Broward. Inbred nitwits related to each other, merit doesn’t matter so in the end it’s a drooling mess of genetic byproducts that can’t survive without government subsidies. Darwin’s Theory turned upside down. The judiciary is made up of in breeds, misfits, slackers and thieves. As a previous poster pointed out 20 out of 90 are good. Thank Charlie Crist that moron for giving us Hurley. Little frat brothers oiling that tight spot. Neither one of them can help it if they are nothin but opportunists without being very smart. We all work with the gifts we’re given. Hurley fits right in with the rest of the moronic judges in Broward, no worse, no better. Prosecutor Al Ribas told the judge it was unnecessary to seek preservation of the grand jury proceedings because they are usually sealed and sent to the Broward Clerk of Courts for indefinite safe keeping anyway. Considering I am after Buddy Nevins. The only one to defend mikey ahearn from the repeated attacks on broward beat ahearn wud have more sense than to attack me NOT a PAID anything in politics government or development or njudicial issues. But then my relatives n friends go on the FEDERAL BENCH where the Judy Sterns Michael Ahearns DONT DARE TO TREAD! And the the unemployed disgraced Randy Hilliard or his fake name blogger buddy – what illegal sublet is Randy skipping out on his rent now?